Working in retail the hours are all over the place, so there are occasion where I will be doing a hella early shift. i.e. before sunrise. Getting out of bed is my main priority so I thought I would share what products I use for a 15 minute make-up look. 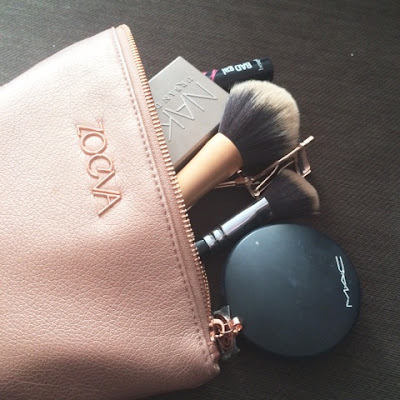 First of all to save me making a noise, waking my family I use this stunning Zoeva Rose Gold make-up bag (Review here). It helps keeps all my items together and its easy access in the morning. An early starts means I don't want the hassle of putting on foundation so I use my Collection Concealer all over my face and use my Beauty Blender to blend it in my face, I have to use a good amount to cover up. 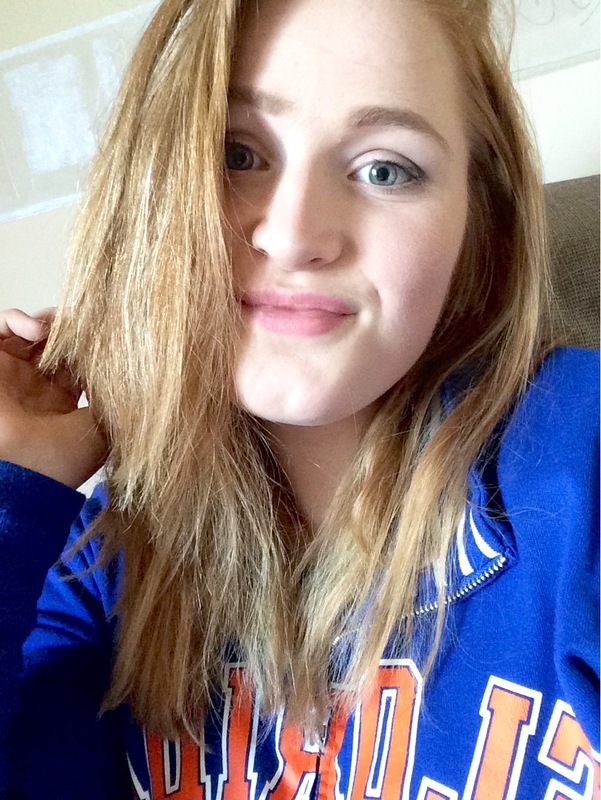 I will the apply the concealer again under eyes and any spots or flaws on my face. Again I use my beauty blender to blend the concealer in. I purchased my Beauty blender whilst I was in America in Sephora and I absolutely love it. 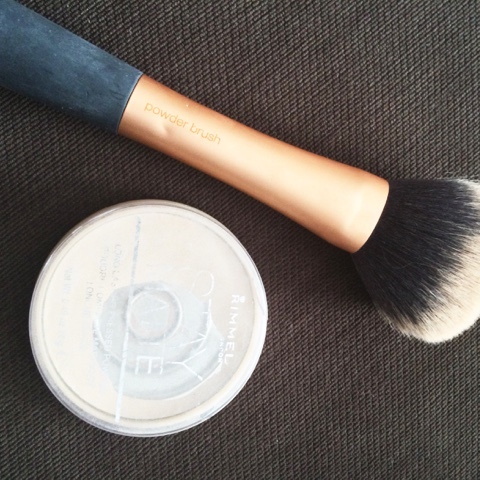 Powder is next, I use my trusty Stay Matte powder all over my face using my Real Techniques Powder Brush. 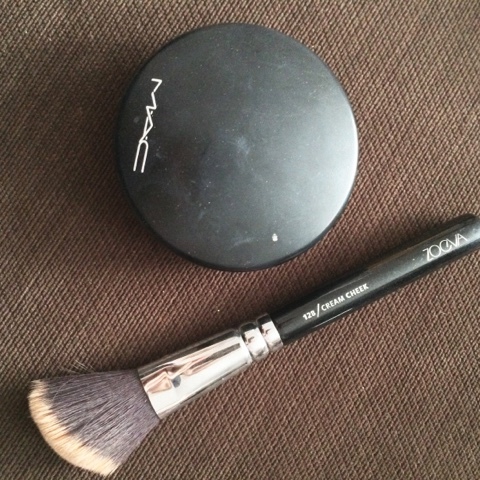 As powder does it keeps my face less shiny and help hold the concealer in place. 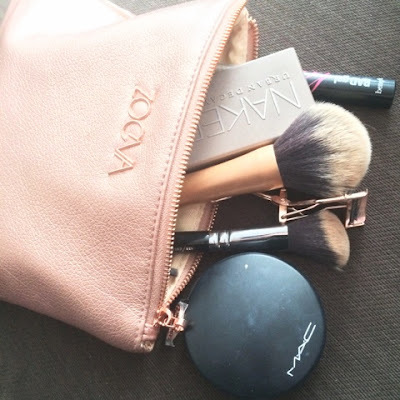 Next is bronzer, bronzer is something I never leave the house with out so I use my Mac Natural Finish in Medium to give a natural contour, I use my Zoeva brush Cream Cheek brush and give myself a simple contour under my cheekbones. I then will then pull it up contouring my either side of my face and then down contouring my jawline. I don't bother with highlight or blush so that is my face done. 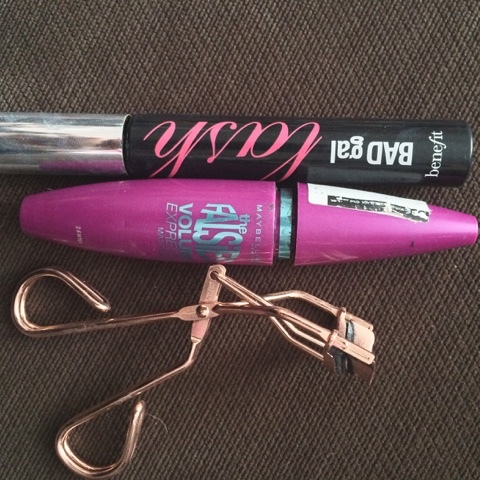 Mascara next, I use my Tweezerland eyelash curlers bought in Sephora (Haul here) and curl my eyelashes, I then use Maybeline the falsies first, then wait until it drys and the curl again and the apply Benefit Bad Gal lash. I may have to repeat a few times depending on how well my lashes go. If I am having a good morning and have times I will use on of my Mac Prolong Paint Pot for quickness, I find them so easy and simple to use. Lastly, I fill my brows. I use the shade 'Cover' from the Naked Basics 2 palette. I have been told it is the perfect for me, I fill them in with my Real Techniques eyebrow brush. I love how small this brush is, it means I can get great precision on the brows. For my lips, I tend to just put lip balm on but I have been loving Revlon Colour Burst in the shade Elusive or Angel by Mac. Both are very pretty neutral shades. ....And thats me done. This would normally take around 15 minutes and is super easy.